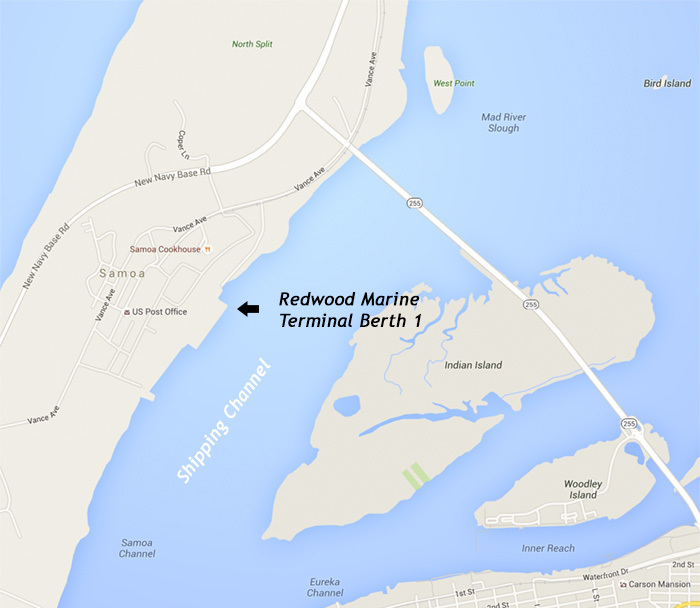 The Redwood Marine Terminal 1 (RMT 1) was formerly the Town of Samoa Wharf and Dock. Here, trains arrived with redwood logs to be milled and shipped out up and down the west coast and beyond. Today the property houses a diversity of operations that are bringing new commercial and industrial jobs to this historic facility. As a repurposed old timber property, RMT 1 functions primarily as a working dock for commercial fishermen, but also houses an aquaponics research facility, and a new hagfish processing/shipping operation. Adjacent to RMT 1 are the Samoa Shops and railroad roundhouse, also District owned, which are being renovated into a museum with historic displays and demonstrations, by the Timber Heritage Association. The historic Town of Samoa, complete with a cookhouse, homes and shops located right across the railroad tracks, is also undergoing a renovation. 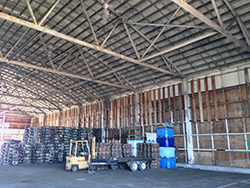 The Harbor District acquired the RMT 1, Samoa Shops and adjacent property from the Simpson Timber Company when they ceased operations in Humboldt County in the early 2000s. Recently the District implemented improvements to the infrastructure, repurposing and rehabilitating the site to once again become a part of the Humboldt Bay working waterfront. 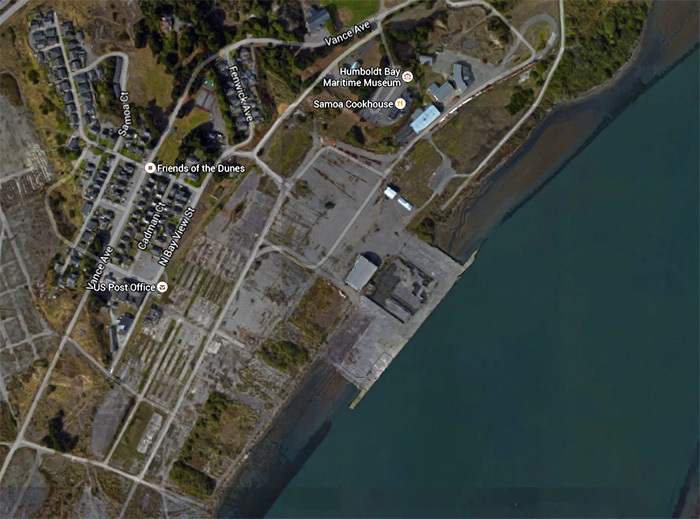 Some of the latest projects include repairing the dock and adding a new 2-ton crane to it, building removal, improvements to electrical 480 3-phase power, and storage facility improvements.